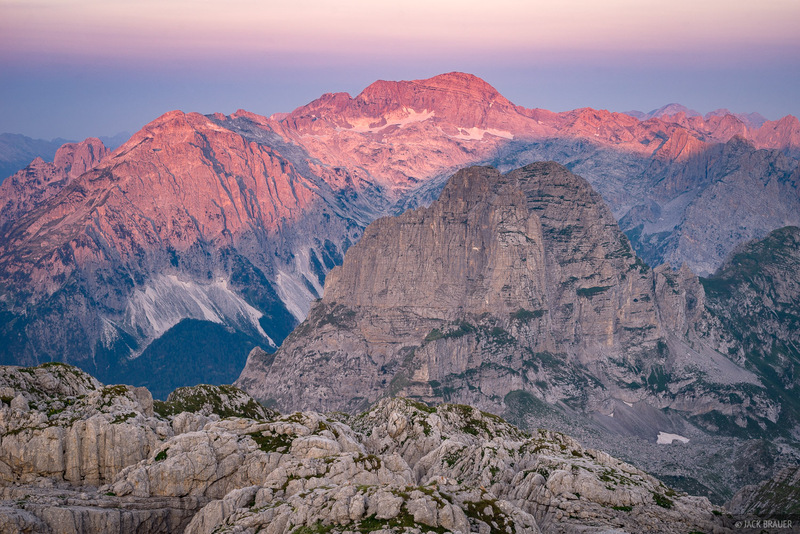 Forming a natural border between Montenegro and Albania is a jagged spine of mountains called the Prokletije in Montenegran and the Bjeshkët e Namuna in Albanian. Both names translate to “cursed mountains”, likely due to their foreboding vertical spires, deep winter snows, and inhospitable ruggedness. 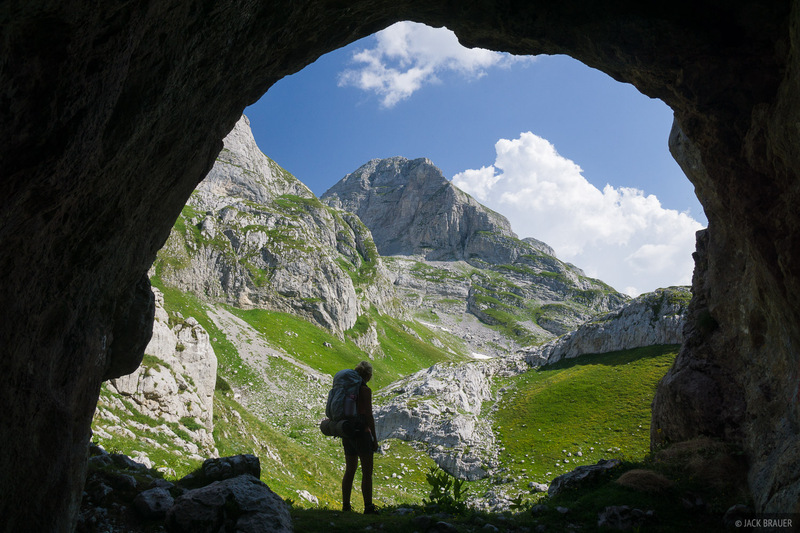 These are the some of the biggest and burliest mountains in the Balkans, but despite their grandeur remain relatively unknown and surprisingly undeveloped. 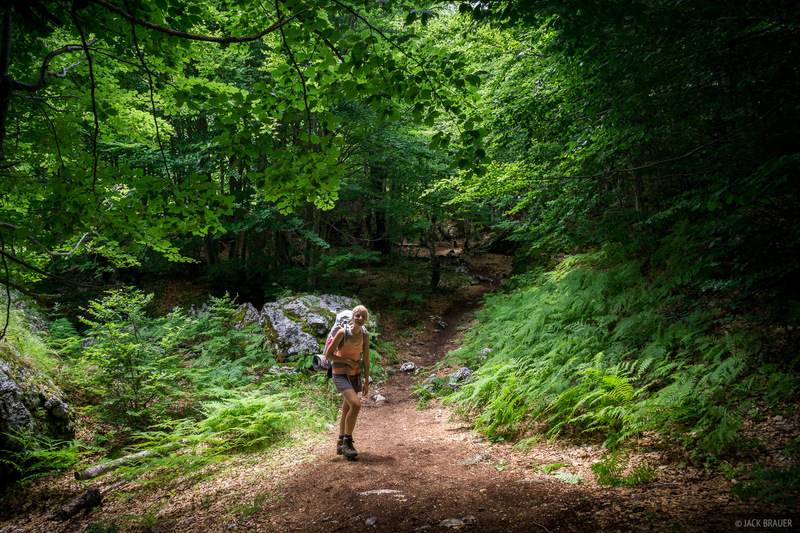 In late July we spent 5 days trekking a loop route through the heart of the range, mostly camping and sometimes staying in Albanian villages along the route. 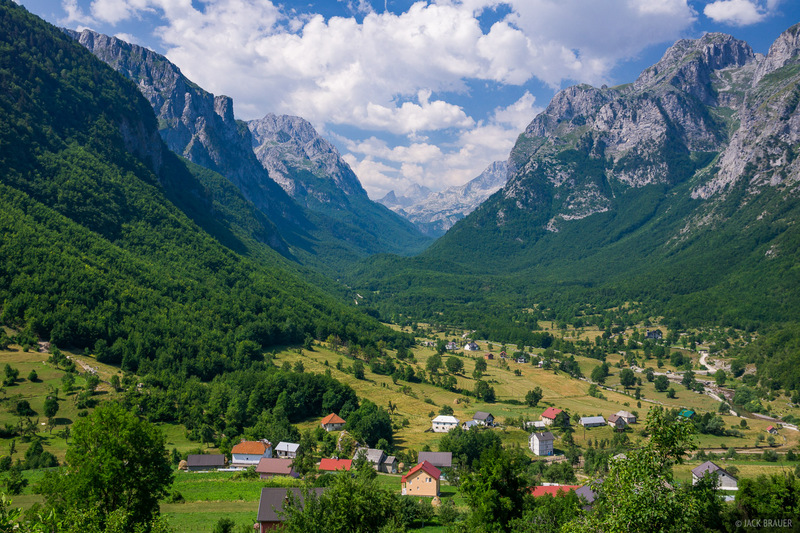 The village of Vusanje in the spectacular Ropojana Valley near Gusinje, Montenegro. 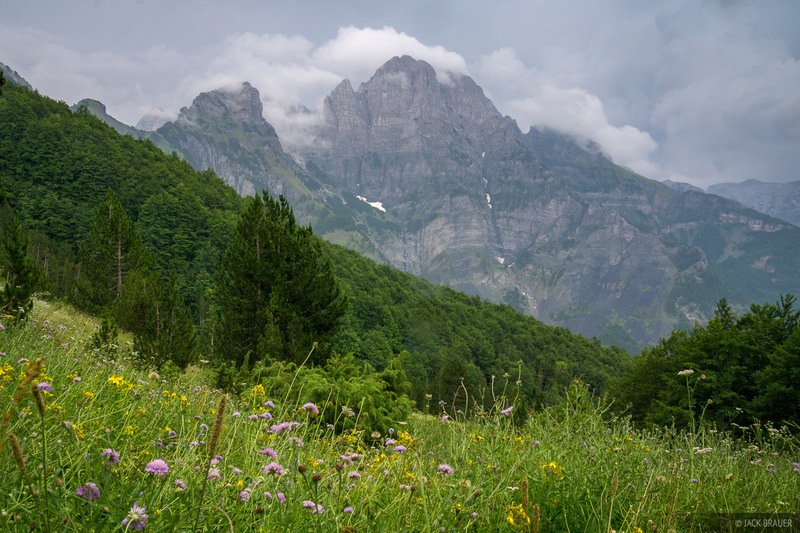 Despite the obscurity of Zla Kolata itself, it’s part of a high plateau that offers incredible views of the surrounding mountains as well as a jaw-dropping overlook into the 1600+ meter (5,000+ feet) deep Valbona valley, where we would be hiking down to later this day. 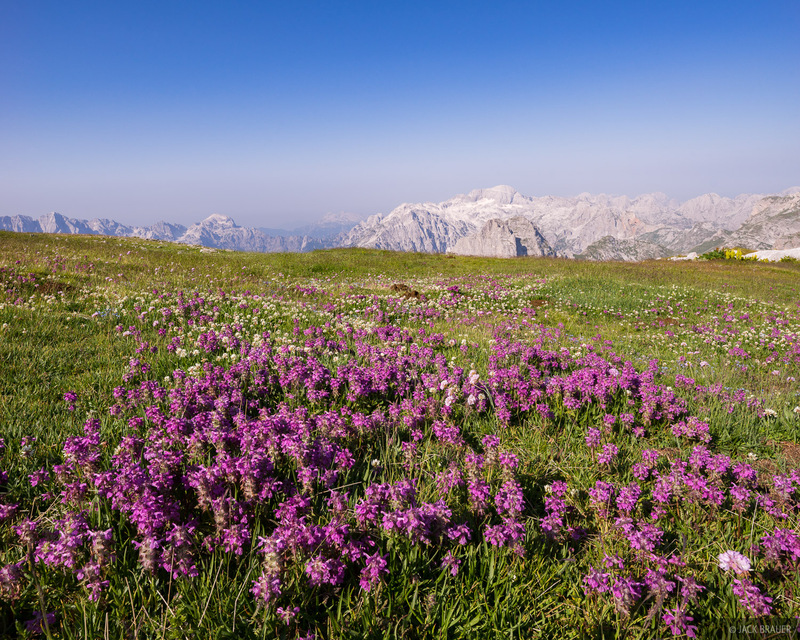 Maja Jezerce and the Bjeshkët e Namuna (Prokletije) mountains rise behind a high meadow plateau near Kollata e Keqe (Zla Kolata) - July. 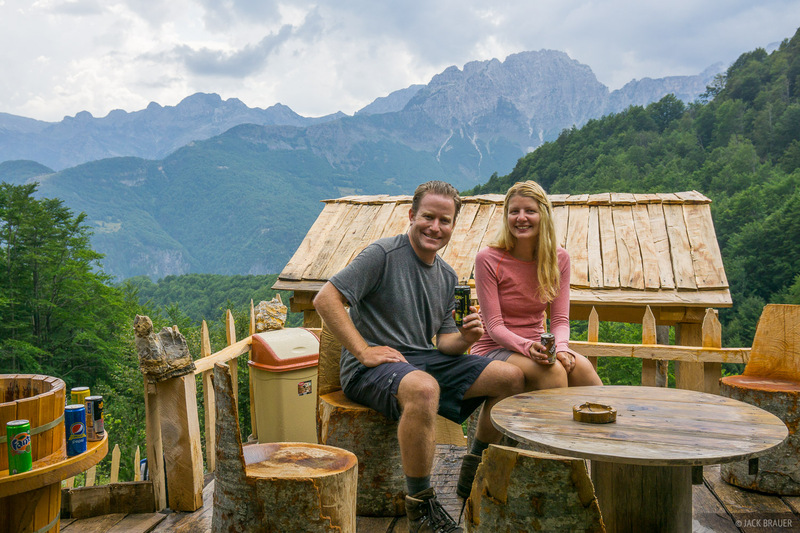 A long walk down from our pass took us into the valley of Valbona in Albania. Here we pitched our tent in the grass at an idyllic campground that even had its own spring-fed creek complete with stocked fish for dinner! We kicked off our boots and enjoyed a tasty feast and a delicious bottle of Vranac! We earned it that day. 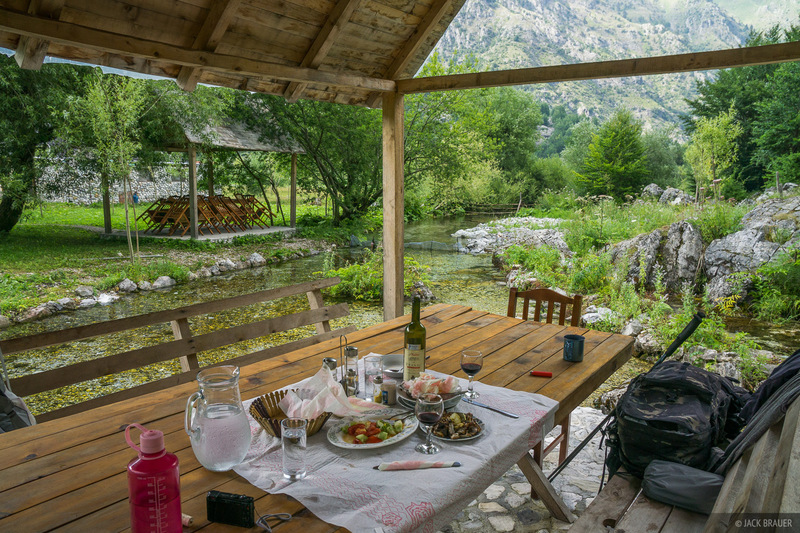 Remnants of a feast in Valbona, Albania. A recently paved access road and a push for tourism is quickly transforming this traditional shepherds’ valley into a more popular destination. 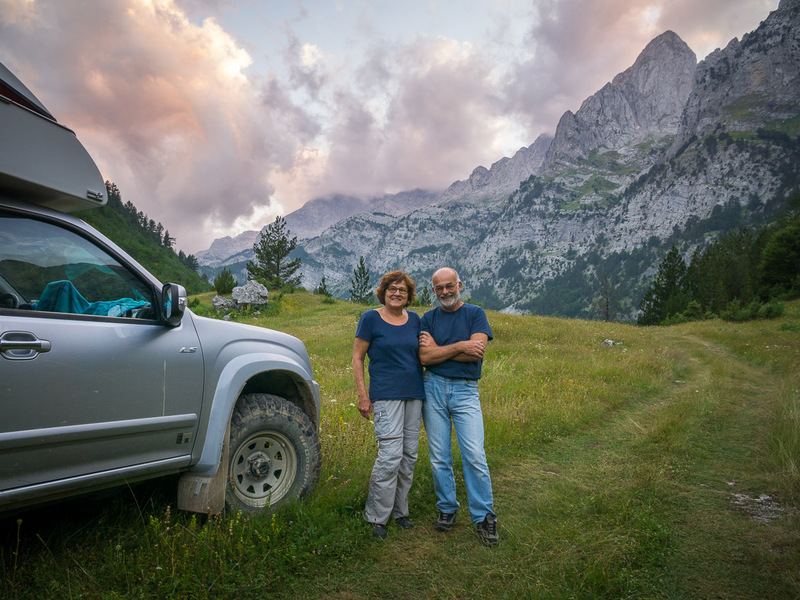 The direction of development seems unclear, which became apparent even as we descended into the valley and could hear the thumping of techno music blasting from a party thrown by the Albanian Mountain Club of all people. The party bumped long into the night, including even a set of enormous spotlights spinning around illuminating the mountain walls. At 1:30 in the morning once the band finished playing, a gang of motorbikers felt obliged to rev their motors for half an hour, no doubt scaring the crap out of every animal in the valley. Quite an odd way for a mountain club to celebrate their love of nature if you ask me. But you didn’t ask me, I’m just another tourist after all. 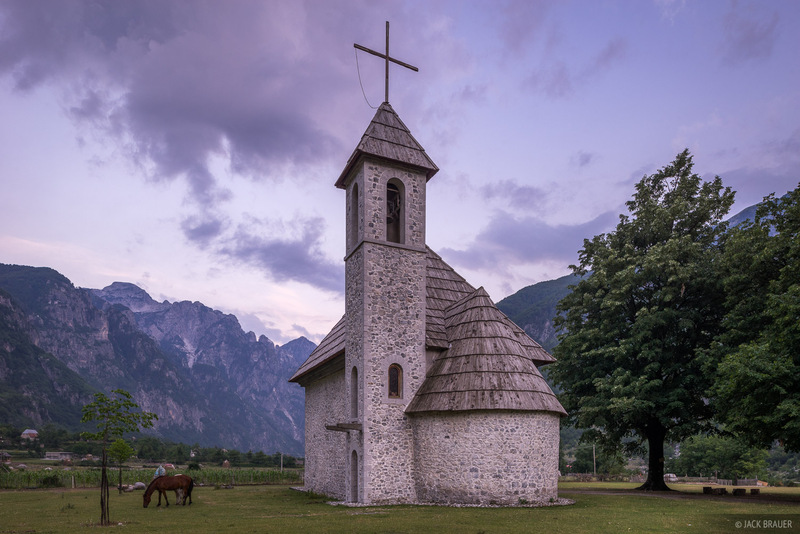 But I do hope that the people of Valbona can find a balance of increasing tourist traffic while still retaining the traditional atmosphere of the valley. 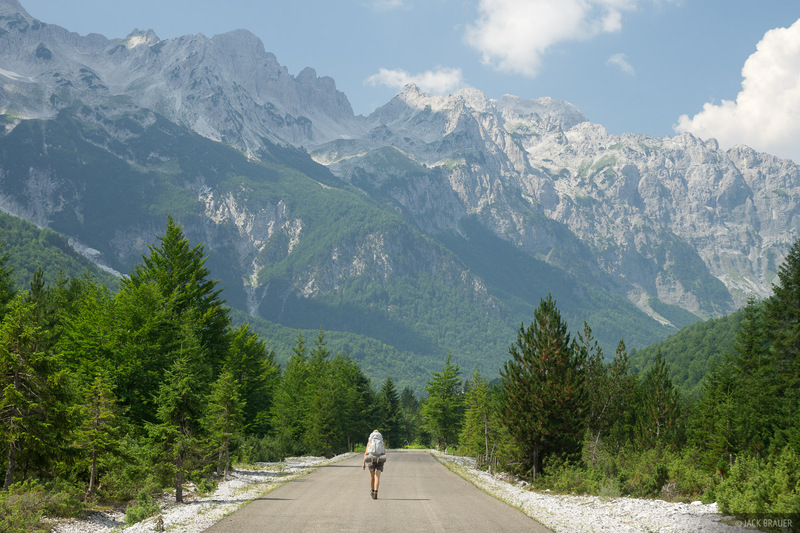 Walking out of the Valbona Valley, Albania. 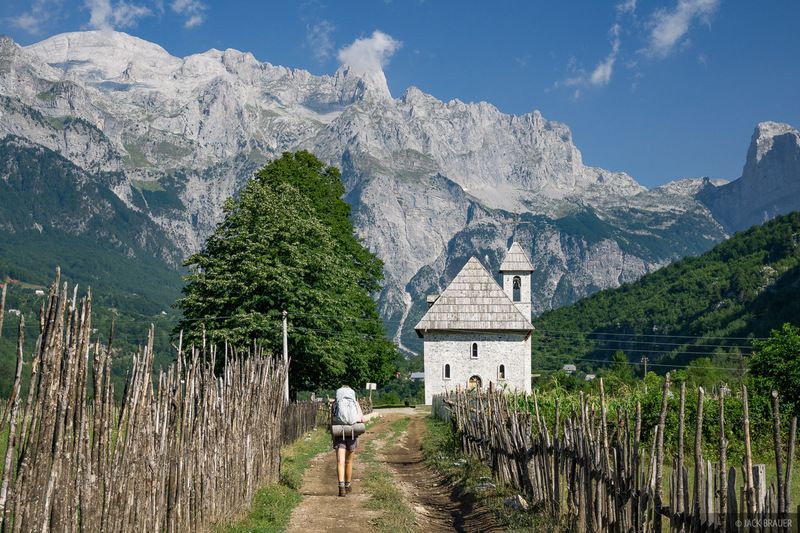 In the morning we walked out of Valbona, up the valley, and over the Qafa e Valbones mountain pass towards the next village of Thethi. 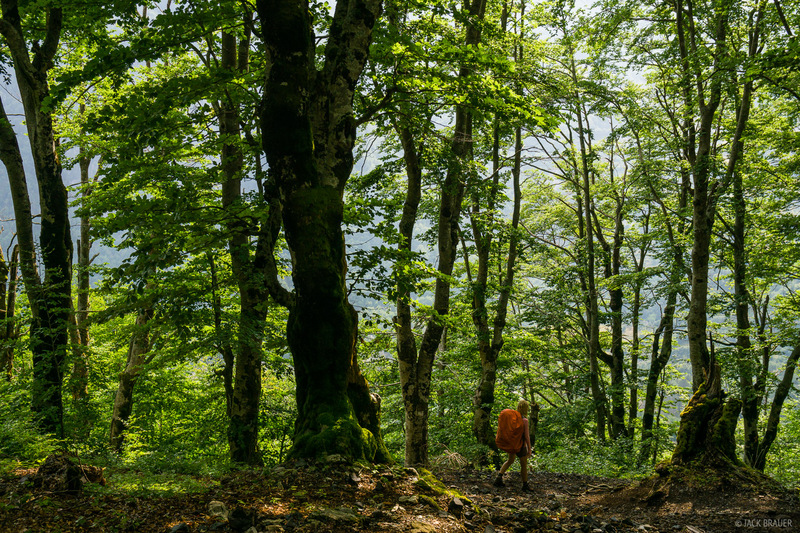 Hiking through the forest in the Valbona valley. As we neared the pass, the clouds got thicker and darker, and sure enough the rain started falling and thunder started booming. We ducked down and did our best speed-walking to get over the pass before all hell broke loose! In the Prokletije (and most mountains along the Dinaric Alps for that matter) water can be scarce. The karstic limestone and dolomite rock of these ranges is full of cracks and caves that drain all the surface water, so permanent lakes and streams are a rarity. 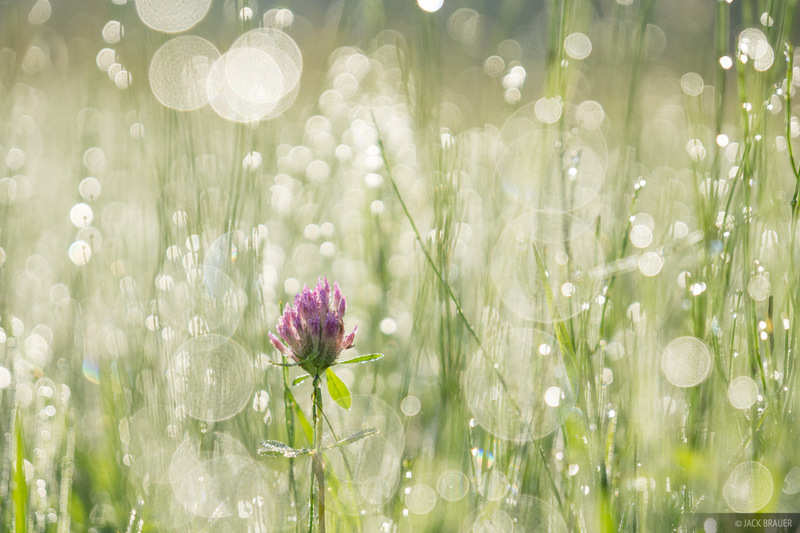 Most water must be collected at natural springs. 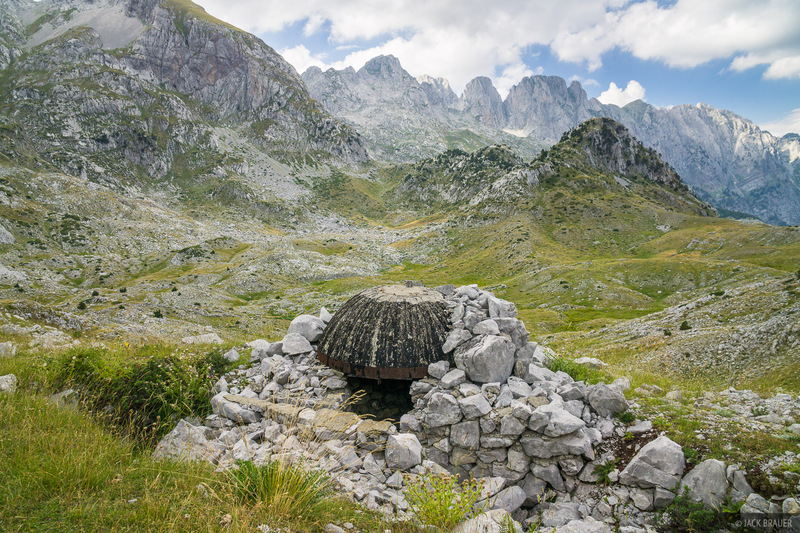 In Albania sometimes at these spring locations you’d find little remote cafes that chill sodas and beers in the buckets of spring water to quench the thirst of weary hikers. After our hurried crossing of the mountain pass in a thunderstorm, we were quite relieved to take a load off here! 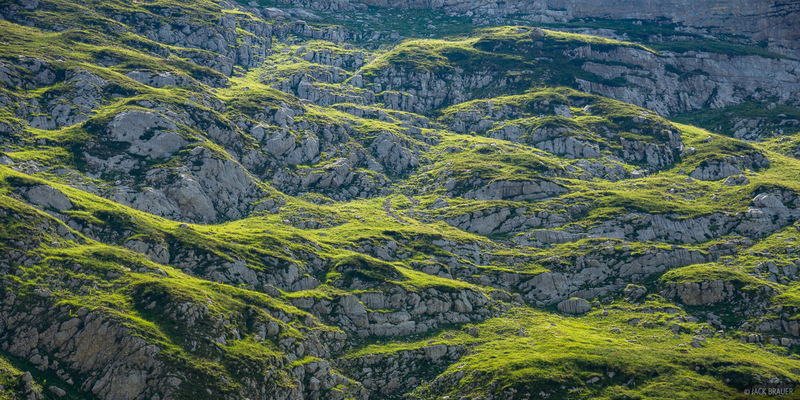 Thethi is another traditional Albanian village in a deep, remote valley. There’s no paved road here (yet) and although more trekking lodges are popping up, the village still retains an almost completely traditional atmosphere. We stayed in a woman’s home in the village; she grew all her own crops, milked her own cows, made her own cheese, even made her own rakji spirits with grapes strung along her terrace. The church in the center of Thethi village. 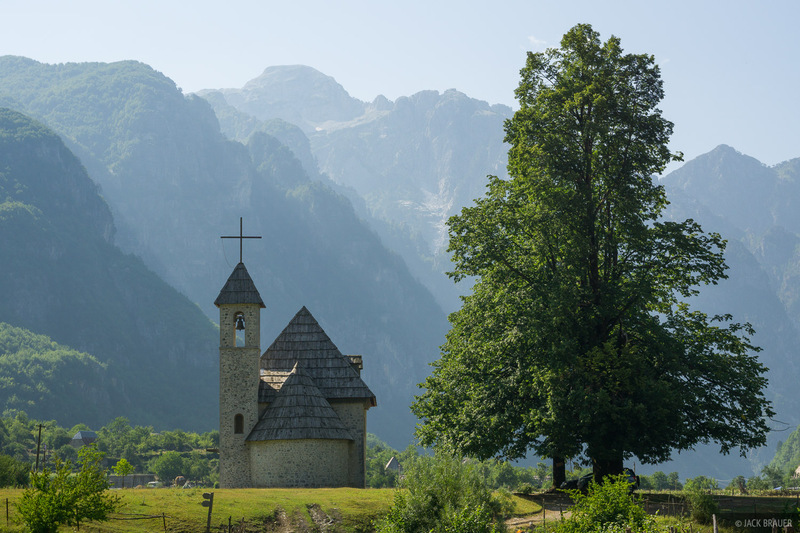 Church in the village of Thethi, Albania. Our fourth day of hiking took us from Thethi over another big pass, across the border, and back into Montenegro. 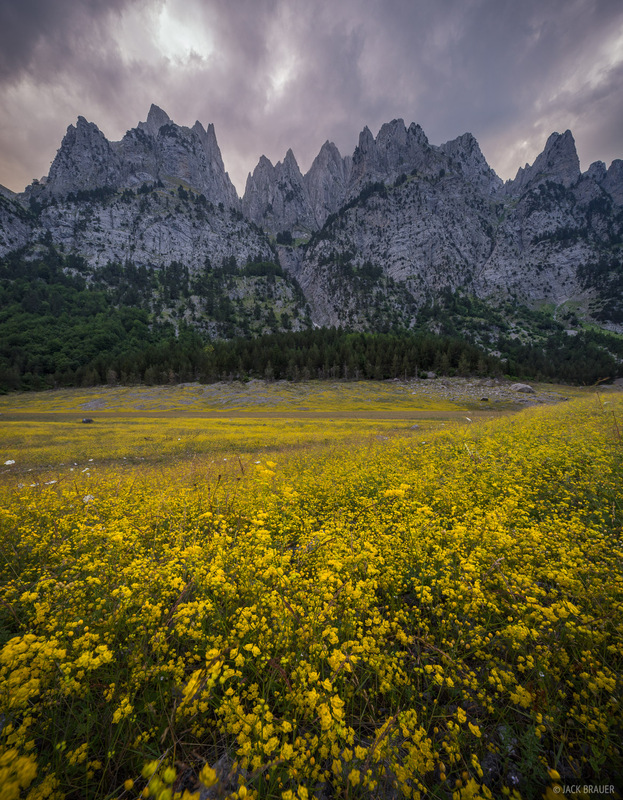 Vast fields of little yellow wildflowers adorn the dried Liqeni Geshtares lakebed below the jagged spires of Karanfili. The spot is just a few meters from the border of Montenegro and Albania. Our Austrian saviors! Bert — if you’re reading this, we lost your email address! 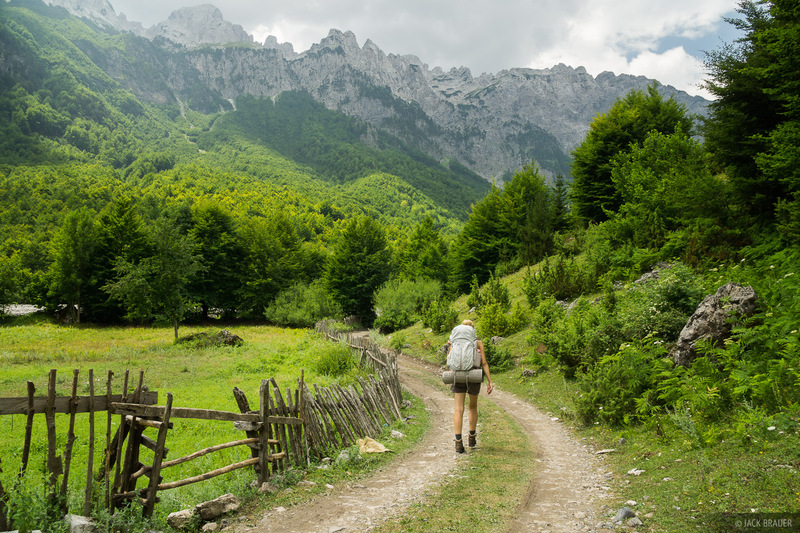 Posted in Backpacking & Trekking, Alps & Europe and tagged Montenegro, Albania.